• ST-160 Injector. ST-167 and ST-168 Bypass injectors come with 9 dosing nozzle inserts. 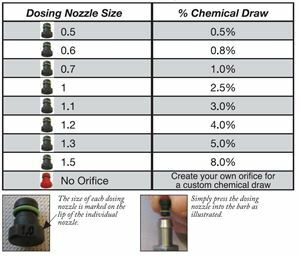 ST-164 & ST-166 Injectors come with 18 dosing nozzle inserts.